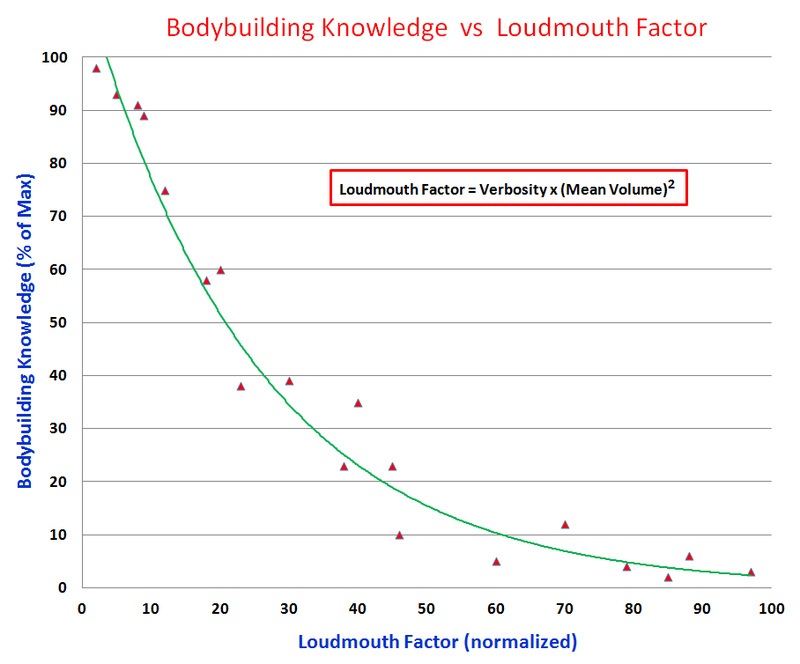 I developed this graph to capture my observation of how people behave in bodybuilding gyms. 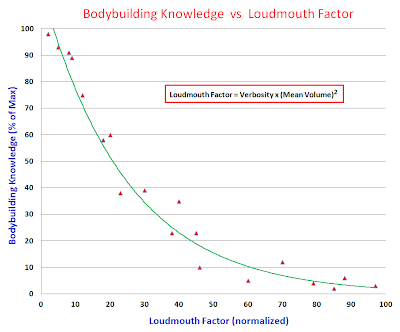 As expected, my data shows that the biggest loudmouths in the gym are those who know the least about bodybuilding. When I posted this on facebook, someone rightly observed that this has application well beyond the confines of the bodybuilding gym. It is probably true at your work, your church, your car club, your neighborhood pub, and in many other places!